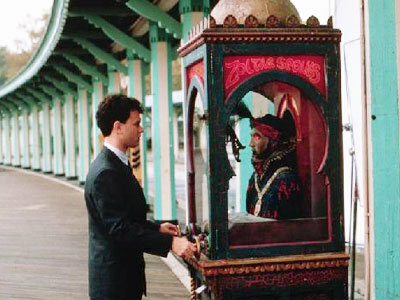 February 21, 2011 2:22 pm By Lori Post contains sponsored/affiliate links and I get commissions for purchases made from links. As an Amazon Associate I earn from qualifying purchases. Get yourself an Extra Care Card HERE. The card is free, and is necessary for taking advantage of advertised sale prices and earning Extra Care Bucks (ECB’s). Be sure to hand your card to the cashier before ringing up your transaction. You’ll earn 2% cash back on all purchases which are paid quarterly in the form of ECBs that print at the end of your receipt (shown above). You’ll also earn $1 ECB for every two prescriptions filled in-store or online. Each week, the sale ad will specify certain purchases that will earn you more ECBs. This is how you’re able to get items for free, cheap or sometimes even make a profit! 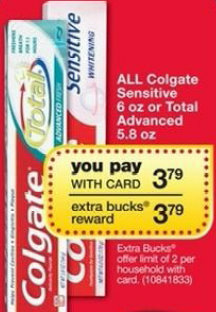 In the example above, select Colgate toothpaste is offered for $3.79 with a $3.79 ECB. There is also a $1/1 manufacturer’s coupon available! Keep in mind that ECBs are like getting your money back in store credit, so you’ll pay $2.79 after coupon and get a $3.79 ECB. Voila! Free toothpaste and a profit! Think of your ECBs as you would store credit, with just a few exclusions. You can use them on your next in-store purchase, and you can even use them to purchase items that will produce more ECB’s. We couponers call that “rolling”. Be sure to read the fine print for purchase limits. In the Colgate deal above, each Extra Care Card is only able to do this deal twice. If you try to do it a third time, the ECB won’t print. You’ll also want to keep an eye on the expiration date on your ECBs. They generally expire 4 weeks from print date and if you don’t use it, in most cases you lose it! ECBs are not considered “store coupons”. 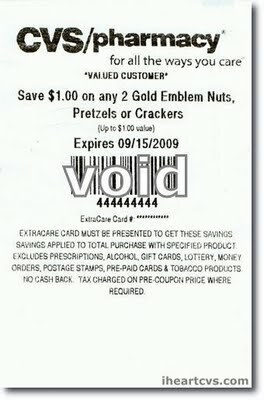 Since CVS allows one store coupon and one manufacturer’s coupon per item, you may use the two in combination with an ECB if you have it. Use as many ECBs as you like in one transaction. Just remember that if your pre-tax purchase is lower than your ECB face value, you will forfeit the extra. So it’s a good idea to get your transaction amount as close to your ECB value as possible. 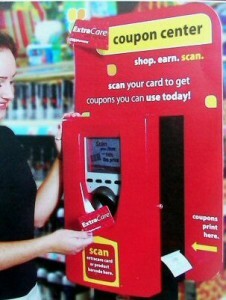 Head over HERE and print a copy of the CVS corporate coupon policy to keep with your coupons. 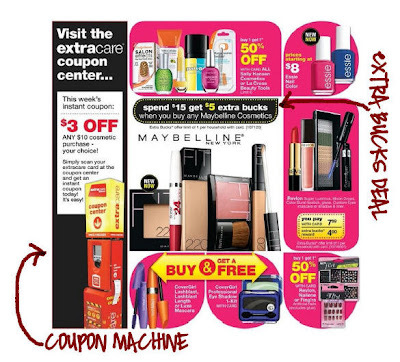 In the above deal, you can get a $5 ECB when you spend $15 on Maybelline cosmetics. Since this particular deal says “any Maybelline” keep your eye out for clearance items! 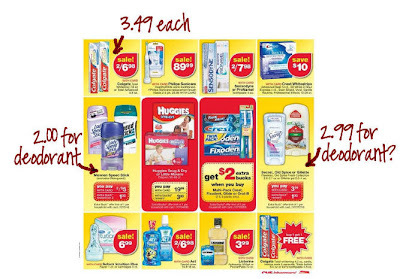 The $15 is calculated before coupons, and can be done over multiple transactions. So if you buy $5 worth today, you have until the end of the sale period to purchase another $10 and get your ECB. Check the bottom of your receipt for details on how close you are to reaching it. CVS often has “advertised sale prices” that are higher than regular prices in other stores. Remember, just because it is listed in the sale flyer does not mean its a bargain! 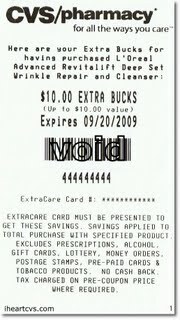 Always check the bottom of your receipt for occasional store coupons given. These will vary based on your shopping frequency and purchase habits. Remember, you can stack them with manufacturer’s coupons for big savings. Be on the lookout for Reinventing Beauty magazine. This is a quarterly publication found in store for $1. 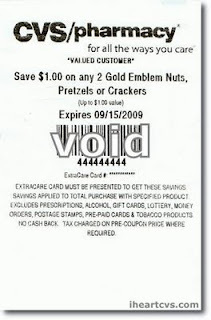 It contains a number of store and manufacturer’s coupons. Some stores even offer the coupon insert portion of the magazine for free! Join the Extra Care Beauty Club and earn an extra $5 ECB with every $50 beauty purchase. You qualifying beauty purchases are recorded with your Extra Care card. Your purchases can be spread out over the year, and once you reach the $50 mark you’ll automatically see your bonus bucks. You’ll also get a $3 ECB on your birthday just for being a member! Ask for rainchecks. Most of the CVS stores I frequent are famous for running out of the hot sale items, usually by Sunday afternoon. Remember to ask for a raincheck so you can still take advantage of the deals you need! thanks to iheartcvs for some of the photos! very informative …CVS offers more than I kneww..you can save alot of money there. CVS here I come!!!!! can you earn more than one ecb per transaction? on deodarant offer and the beauty offer or healthcare items. On items that say earn $___ ECB with $10 purchase, does a $9.99 item qualify? Most of the time. You can generally count on the unwritten “CVS 98% Rule”. That means if the deal requires you to spend $10 and you spend 98% of that (or $9.80) you’ll get the ECB. There are a few occasions when this doesn’t work, but it’s rare (and unpredictable).